A great treat this weekend to have our vegetable garden mentioned in the Mail on Sunday! As holders of the Peak District Environmental Quality Mark, our commitment to the Peak District is shown through our philosophy to use quality ingredients sourced from local Peak District businesses wherever possible. This year, we've brought things a little closer to home with the introduction of a newly established vegetable garden. Darren Goodwin, our Head Chef, expressed the value that the vegetable garden brings, “The vegetable garden has been a great project so far. To be able to go out, pick the produce and then serve the vegetables to our guests just a few hours later has been fantastic”. So far, the garden has yielded courgettes, baby carrots, broad beans and fennel, to name a few. These are served alongside other locally-sourced products such as meat from White Peak Farm Butchers in Tissington and eggs from Richard Bennett’s egg farm in Thornhill. Coming to the end of the first year’s season, the venture has proven viable and so our guests will hopefully be enjoying home-grown produce for years to come. If you'd like to try a a slightly different dining experience, we offer our Taste of Losehill 7-course menu. Here is an example of one of our menus, with the pictures provided by Twitter follower @the_a_stevenson who recently enjoyed a meal with us. Our menu changes frequently with the seasons. If you'd like to find out more about our Taste of Losehill dining experience, please click here. Our à la carte menu changes daily, with a selection of around 6 dishes to choose from for each course. We're proud to use as much local produce as possible, with some of our regular suppliers being Cabrito Goat Meat, Sheffield Honey, White Peak Farm Butchers, and Middleton's Dairy. 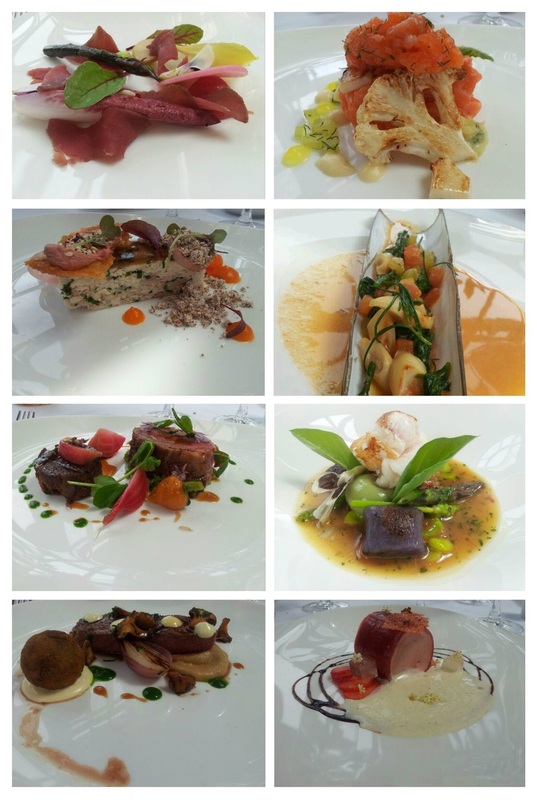 Here we've put together a selection of dishes that have featured in our Orangery Restaurant recently. Belly of Kid Goat Meat with Parsley, Quinoa and Spring Vegetables. You can find out more about our menu here.